Spirit of the Burren is an insightful, thought-provoking study into one of Ireland’s most unusual and most sacred landscapes. 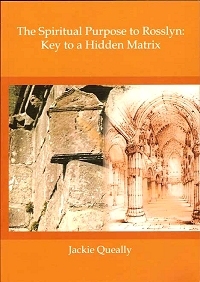 This book confirms that Jackie Queally is successfully carving a new genre she calls “spiritual geography”. Throughout these pages readers will experience a meditative connectivity with the Burren, an area in the far west of Ireland. 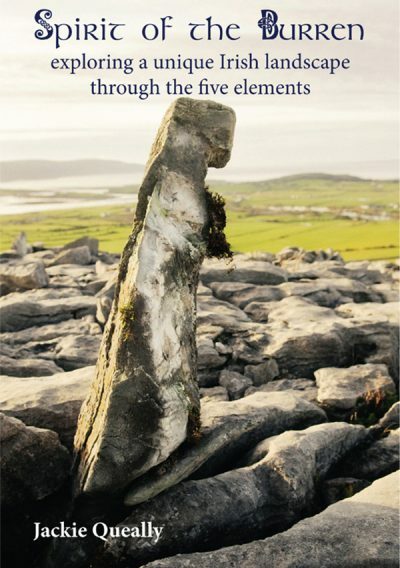 Taking each of the five elements in turn she views the Burren from the angles of water, wood, fire, earth and metal/ether. She concludes with an all-embracing perspective of an evolving higher consciousness that offers much hope for the future. Are you interested in the topic of sacred landscape in Ireland? This book “Spirit of the Burren” is, according to many readers, an insightful, thought-provoking study into probably the most unusual and most sacred landscape in Ireland. As a progression from her popular books on Rosslyn Chapel in Scotland, Jackie Queally is successfully carving a new genre she calls “spiritual geography”. 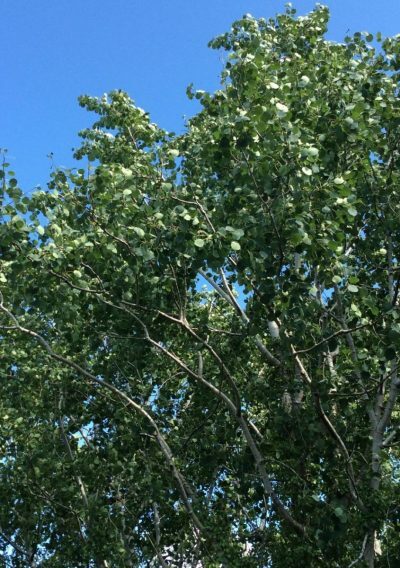 These pages are liberally sprinkled with references to earth energies, and readers find they experience an almost meditative connectivity with the Burren, an area of outstanding beauty in the far west of Ireland where Jackie resides. Jackie was inspired to write the book based on the theme of the Five Element theory used in Chinese Traditional Medicine. She was training in sonic acupuncture which can harmonize the human body through paying attention to the Five Elements that the meridians represent. Believing the earth is also a living body, Jackie applied the same principles to the land, using the Burren as the backdrop. 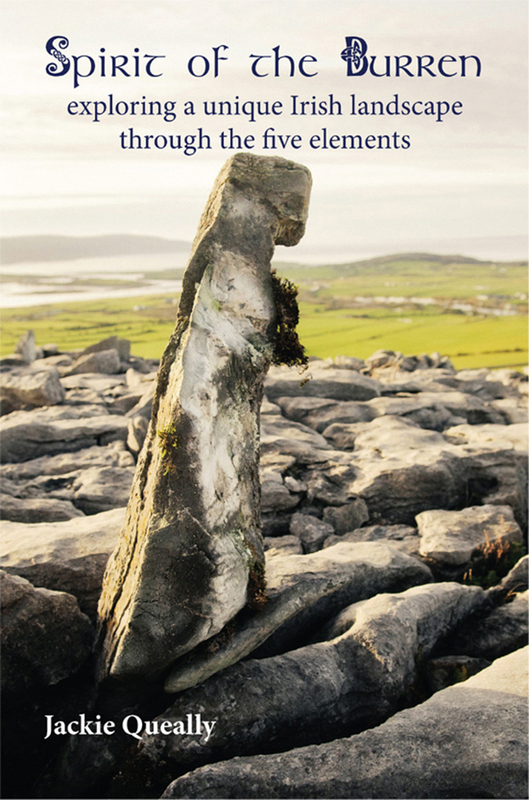 Using each of the five elements in turn she views the Burren from the angles of water, wood, fire, earth and metal/ether. Fasten your seat belts folks, you are in for an amazing read! Nothing will seem inconsequential again. First read this book with your heart and then come back and read it again with your logical mind. Jackie captures the feel of the Burren landscape while explaining the mystical qualities of not only the Burren, but our very lives, regardless of where we may actually reside. Using the five elements as the “main characters”, makes a complicated subject easier to understand and to appreciate. Healing, divining and seeing are all discussed and explained in a way that makes an informed reader sigh with relief and the novice to become a wide-eyed searcher. Based on historical research and inner seeing, Spirit of the Burren is both informational and inspiring. Although, this book is not intended to be a tourist guide book, it will explain to the tourist what the subtle something they are experiencing during their visit to the Burren is all about. Even the most mystically challenged will begin to appreciate those little somethings; mood changes, shadows, life, hope. Jackie Queally has been exploring the nature of the places where she has lived for some time now. For a while she lived at Roslin, Midlothian, and has not only written two extremely interesting (and highly recommended) books about Rosslyn Chapel, and another about Roslin Glen, the intriguing landscape that lies to the east and south of Rosslyn Chapel. She has also taken many highly appreciative groups to visit both the chapel and, the glen. In her latest book, she turns her attention to the Burren, a tract of land that stretches from North Clare to South Galway in the west of Ireland. Anyone at all familiar with the west of Ireland will no doubt have experienced the particular magic of the various landscapes that it has to offer, and Jackie chooses to make her ‘exploration’ through an appreciation of the five elements of water, wood, fire, earth and metal, finally coming to a synthesis in which all five come together in a chapter called “Spirit of All Elements”. She takes her readers on a journey on which we meet such groups as the mythical early people of Ireland, the Tuatha Dé Danaan; the elemental beings known in Ireland and Scotland as the Sidhe; and the early Celtic Christians known as the Culdees, or Celi Dé. Throughout the book, she shows a lively and deeply respectful awareness of the life above, in, around and under the ground where she treads. The author is also able to supply small nuggets of little known folklore, Perhaps such a world seems rather remote from mundane experience, yet the author guides us into it effortlessly, with a highly developed feeling for the energy and elemental energies of place. I am no expert on the subject of ley lines, but the author is highly sensitized to them, and can not only feel them, even from inside a moving car, but also tell whether they are long established in the nature of the place, or newly created by human activity. This is something that was entirely new to me as a concept, but one that I feel is worthy of further exploration. This book appears to me to be a useful place to start. Her purpose, however, is more than to give us a guidebook to a beautiful part of the world and its history and geology. This is a book concerned with love of place, love of nature and a sense of the healing qualities that nature can bestow, when coupled with an awakened awareness of the needs of the time. I recommend it. In Irish, ‘Boireann’ means a stony place, a craggy place and in this wise, insightful and exhilerating book, the stones of the ancient Burren become alive!